For the players who are just starting out in the sport or don’t have direct access to anywhere to play, a basketball and a hoop will make an excellent gift. There are a variety of hoops which can be purchased depending on the requirements of the player. You can look into a more permanent fixture with a backing board or a free standing pole with the hoop. Performance clothing such as a jersey or shorts would be a great addition to the player’s kit bag. As most sports persons are always after keeping up with new styles and technologies when it comes to their apparel, this gift will be greatly received. There are also items such as compression clothing and gear which athletes find really helpful while training. This type of gear keeps the muscles warm to prevent any injury when practising in a cooler climate. This is a fabulous tool for at home training sessions or for taking to the gym. 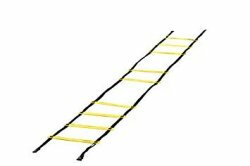 An agility ladder helps the player to improve their agility through the intricate foot placement required at speed when using it. Therefore this gift will be essential in their improvement training and will help them achieve the goals they set out to do and increase their speed and precise movements on the court. For those who take an interest in the game but don’t particularly practice the skills in real life would love an immersive video game based on real basketball scenarios. This is why video games from the NBA franchise will be a great tool for those who own a console such as a PlayStation or Xbox. And through playing this virtual game of basketball, it may inspire them to take to the court and strive for greatness, just like their NBA idols. Another great idea would be to get them a large backpack to keep all of their training gear in. As they will have to potentially be taking clothing along with a basketball to their local court, a regular sized bag just won’t cut it. Therefore you can invest in a specially designed sports bag which can fit all of their essentials in, to avoid multiple trips with smaller bags. 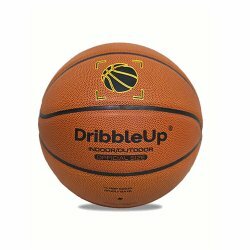 This innovative piece of kit allows you to track your progress when it comes to improving your dribbling technique. Therefore, this is a great training tool for aspiring professional players. This ball includes top of the range technology which can be tracked using an app on your smartphone or tablet. And from there you can see where you would need to improve on your force, speed and accuracy. If your loved one supports a particular basketball team you could look into ordering them a replica jersey or item of merchandise to show off their pride. This therefore can be worn to their matches or for watching the game from the comfort of their own home. And when they are practising their hoop skills, they can feel like their idols. Depending on your budget, you can buy them a ticket to a game to see their favourite squad play, or you could even get them a pass to watch many. This is an outstanding gift idea and will have them grinning from ear to ear as they cheer on their number one team from the stands. The atmosphere they feel during that game will most certainly be something they will never forget. Another great training tool is a basketball return system. This simply is a cage which is fixed around the hoop to ensure that the balls don’t bounce off in a different direction. In fact it ensures that they come straight back to the player. This therefore is a great idea for the players who do not have an enclosed garden to train in as they will never lose a ball again. 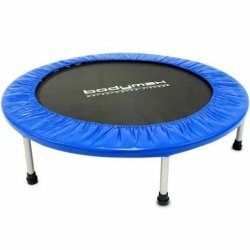 Dunking is one of the most sought after techniques in basketball, and a great way to help your budding player improve their skills is to get them a trampoline. This therefore will aid them with working out the height needed to score a successful dunk. Plus the more this is practised, the more it will increase their height when dunking without it as the muscle memory gained by training will get them where they want to be. Complete your Christmas Shopping Today! 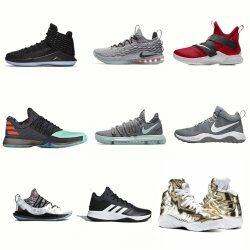 Within this article we have explored twelve different gift ideas for avid basketball enthusiasts. If any of these have helped you with purchasing your presents this Christmas, get in touch and we can inspire one another! Find Sports Fitness over on social media and join in the conversation. Be sure to also check out the basketball category over on our online store and stock up on all of the must-have gear this festive season.